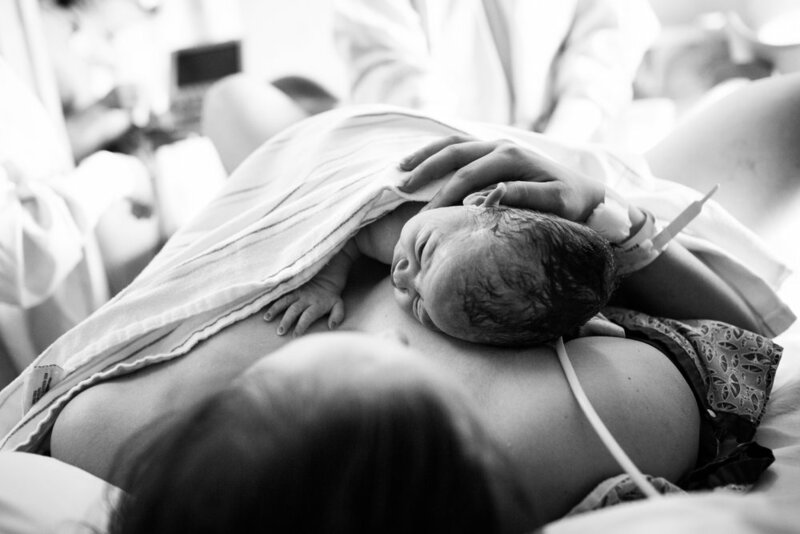 Birth story films are a powerful way to remember the story of your baby's arrival in this world. Anne came into my life when I got pregnant with my son jack. I met her through my midwife and thought why not, a few pictures could be cool. I had NO CLUE how important and perfectly sacred her work, her presence, her in my life would become. It was a no brainer to have her at my second birth of my daughter. When she introduced me to the idea of capturing my birth with video it came with excitement and hesitation. I wasn’t sure at first.....but after probably the 100th time of watching the birth of my daughter ha! I can say without hesitation and with all the love that this is the best gift I will always keep. Apart from the fact that I get to relive one of the most spectacular moments of my life at any time, I also get to see how the clouds looked that morning, how me and my mother giggled, how my best friend came to kiss my cheek, how my midwife was the best cheerleader that ever lived, how my father smiled so big he had to laugh with the sight of my daughter, or just even what songs were playing while I swayed with my husband. It’s all so spectacular and I get this amazing opportunity to remember through Anne’s eyes. She gets every moment and some how relays the story with the same level of magic that the day was. She has been there for both my births and my wedding not only because she is magical with moments but because her presence contributes to the best day of your life. I cannot say enough about our experience with Anne! From the first of our emails to receiving the finishing product in the mail, everything was delightful about working with her. Anne went above and beyond to make herself available for the birth of our first son. She captured the special moments of delivery day, and even added pictures into the video of our first week at home together. She is extremely talented and will create the exact type of video you are looking for. The video she made brought my family to tears; it was that moving. Lastly, perhaps it is Anne’s mothering experience, or her doula experience, but having someone I hadn’t met in the delivery room didn’t make me feel uncomfortable as she has such an inviting, encouraging and professional presence about her! I will forever appreciate all of the love and time she put into making our birth video so special.